Apple’s September media event was finally held and as expected it was a roaring success with fans sharing every single development via real time social media updates while watching the live stream on their Apple devices. As expected, Apple introduced a number of new goodies to fans’ delight worldwide; some were expected and some were a pleasant surprise. 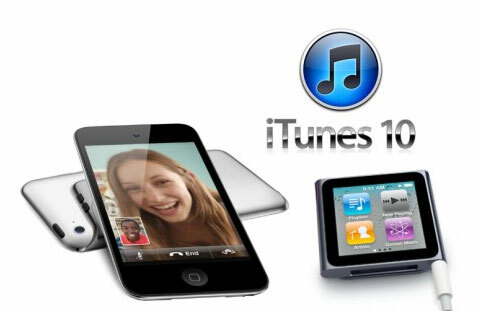 As per tradition, Apple’s iPod line is now all new with the iPod Touch getting the promised Retina Display and dual cameras, while the iPod Nano now has a smaller design and touchscreen technology too. The much awaited and speculated Apple TV was also launched and it’s not called iTV. It’s almost the size of a sandwich and it’s a stream only device featuring Netflix, iTune rentals (TV and movies) and iPad streaming for 99 cents. The unexpected surprises that Apple managed to keep a secret from the media all this time include a new music based social network called ‘Ping’, which is made available through the new version of iTunes (10) and iOS (4.1) which also brought improved gaming capabilities. Apple CEO Steve Jobs also proudly released the latest statistics of the company, revealing that Apple has sold more than 120 million iPhones, iPads and iPod Touches. This is up from 100 million devices just three months ago. What may be more impressive is that Apple is activating 230,000 new iOS device every single day. Unsurprisingly, the App Store is also on fire. Jobs announced that 6.5 billion apps have been downloaded from the App Store, and the pace of downloads is now at 200 apps per second. 25,000 of the applications in the app store are now iPad apps. There are now 300 Apple stores in the world, including new ones in Shanghai and Paris.